Construction of the 3-classroom building in Kilimamoja is underway. The local builder Restus Sanka has all the material stored on site and is preparing the foundations for the concrete floor slab. 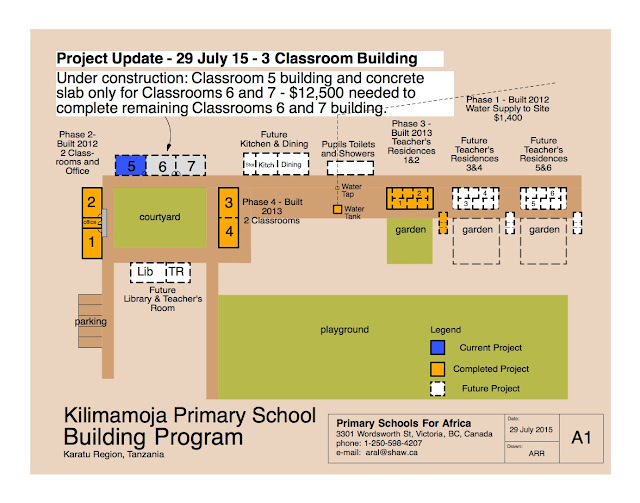 At this point, with the present limited funds, we are able to build the first classroom #5 and the floor slab only for Classrooms 6 & 7. 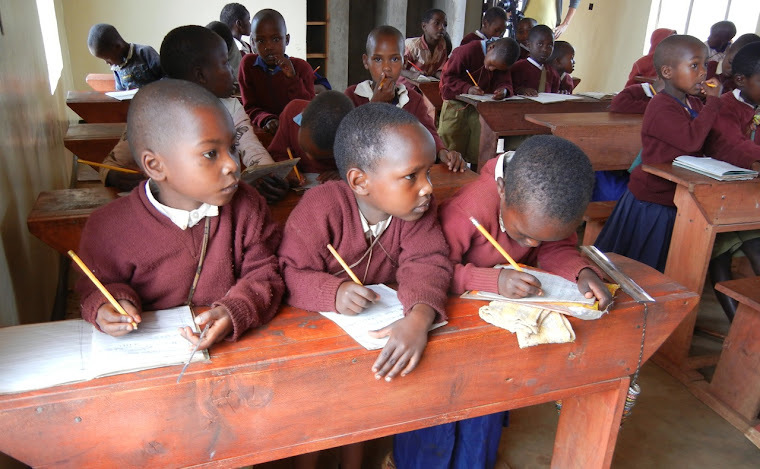 We are continuing to fundraise for the additional $12,500 needed for the remaining 2 classrooms. The graduates from Standard 4 level at this school urgently need this building for the 2016 academic terms. 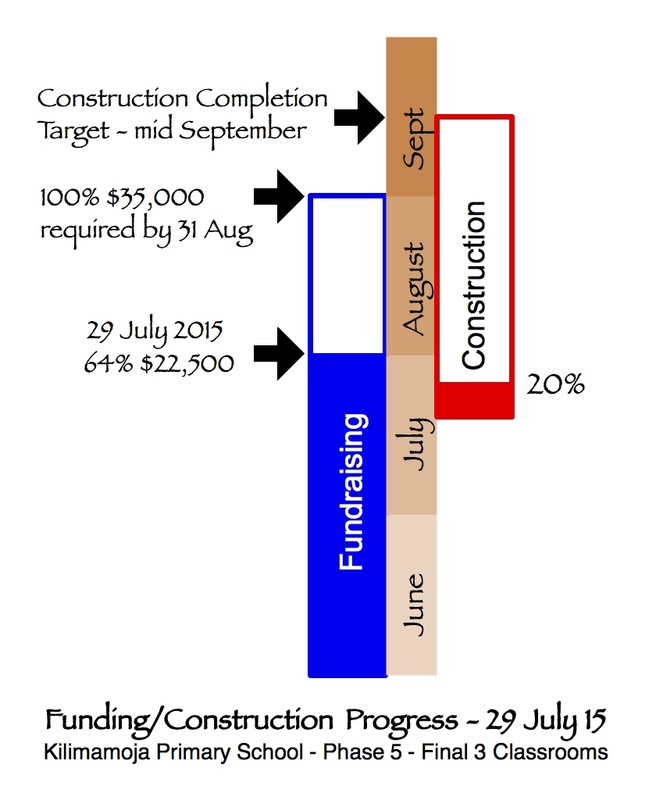 To all our supporters, please consider a donation to us from your 2015 charitable giving budget. Please help us complete this building.